Once a sleepy fishing village, San Juan del Sur has become one of Nicaragua’s prime surfing hubs as soon as surf enthusiasts discovered the fantastic waves willed by neighboring beaches. In reality, the best beaches are not found in the village of San Juan del Sur itself, but all you have to do is head 30 minutes to the north or south, and you will find the gorgeous tanned sandy stretches you long for. But after riding the waves the whole day, weary surfers usually choose San Juan as their resting spot. Why? The little village has managed to build enough infrastructure like restaurants, hotels and affordable bars to keep travelers in this region happy and comfortable. Surfing is definitely the main activity in San Juan del Sur as the beaches around the village experience consistent offshore winds. Avid surfers absolutely adore the place because they can do what they love without shelling out too much cash. If you are a novice, expect to pay about $25 dollars for a one-hour surfing lesson. Board rental is around $9 USD, and you can use the board the entire day! 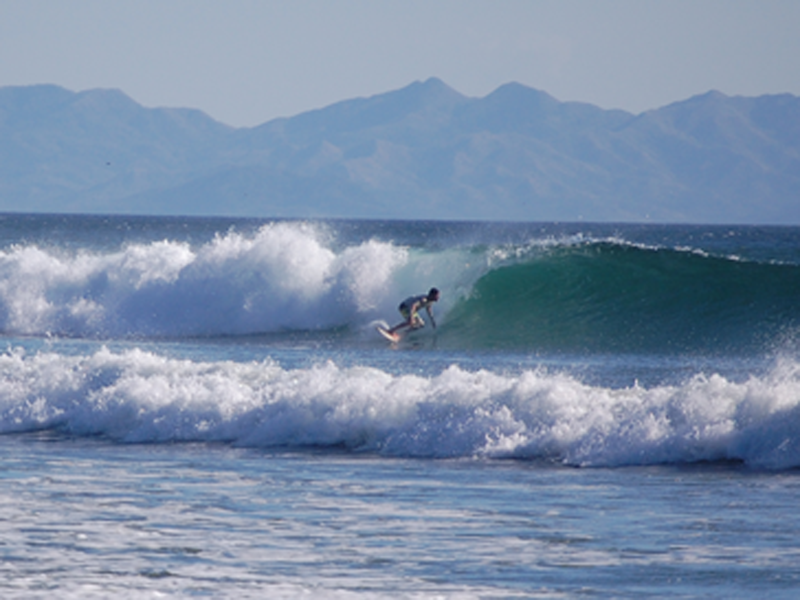 The best time for surfing in San Juan del Sure and Nicaragua, as a whole, is from May through early December. At this time, the south swells make their way to the Pacific coast of the country. 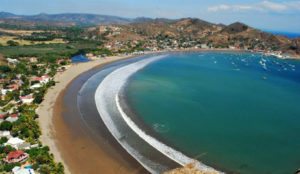 The beaches around San Juan del Sur cater to all levels of surfers. Playa Maderas is the most popular and easily accessible beach to San Juan. It is only about a 20-minute drive from town. Near the coast, beginners and experts can find excellent waves to ride on. But if you want to access other surf breaks, you will need to get there by boat. Fortunately, boat taxis can be easily booked for a half or full day in San Juan del Sur. Playa Yankee is another prominent surfing beach near San Juan. From the village, you will need to drive 30 minutes south to reach Yankee. The waves generated at this beach are more ideal for advanced surfers, although they are much less frequent than in Playa Maderas. Playa Colorado is a river mouth beach break, considered to be one of the top surf spots in all of Nicaragua. The swells hitting Playa Colorado can range from waist high up to double overhead. So if you want a real surfing challenge, the spot to head for is Playa Colorado. Getting to these surfing beaches is usually not an issue as there are always drivers offering taxi rides all over town. Some hotels also provide a shuttle service to the beaches for their guests. Even though surfing may be your main objective for coming to San Juan del Sur, do not pass up the chance to enjoy the other pleasures that town can offer you. San Juan is relatively small, so take the time to explore it on foot. The striking colored houses will soon catch your attention and make you click your camera many times. Head out to the waterfront, and enjoy the view of the sea and the boats anchored in the harbor. Consider following the path that leads up to a statue at the waterfront. The trek will take around 20 minutes, but the harbor views that you will get once there, are definitely worth it!